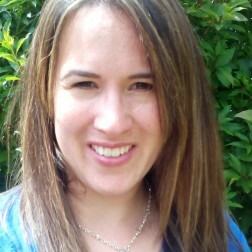 Annemarie Aburrow is an experienced freelance Registered Dietitian and nutritionist based in Southampton, Hampshire. She is a member of the British Dietetic Association and is registered with the “Health and Care Professions Council”. Her approach is to offer clear, understandable, realistic and holistic advice and support to help you tackle your nutritional issues and achieve your goals. She will work with you to put together an individualised action plan which takes into consideration your medical background, condition, nutritional requirements, activity and lifestyle. Annemarie is also skilled in a wide range of dietetic consultancy, including developing and delivering group training and workshops, creating resources and writing articles. Annemarie offers individual private consultations to suit your convenience. If you would like a face-to-face appointment, Annemarie runs her clinic from Therapeutics Southampton Ltd, a private clinic in Southampton. She also offers telephone and Skype appointments, which may suit you if you live elsewhere in the UK or in another country, or would simply prefer this option. Annemarie is very experienced at delivering group work (e.g. weight loss groups), providing training and workshops to small and large groups, and producing high quality resources. She is also available for media and PR work. She is passionate about all aspects of nutrition and dietetics. In particular, she enjoys advising on sports nutrition and infant & toddler nutrition, and enjoys the challenge of supporting people to change their diet and lifestyle to lose weight / improve symptoms of chronic illness and seeing their success. Please contact Annemarie to find out more about the services and consultancy options on offer.